Main members of the cast of the upcoming Marvel superhero film “Avengers: Infinity War,” will hold a live broadcast on Naver’s V app at 5:50 p.m. Thursday. They included Benedict Cumberbatch, Tom Holland, Tom Hiddleston and Pom Klementieff. 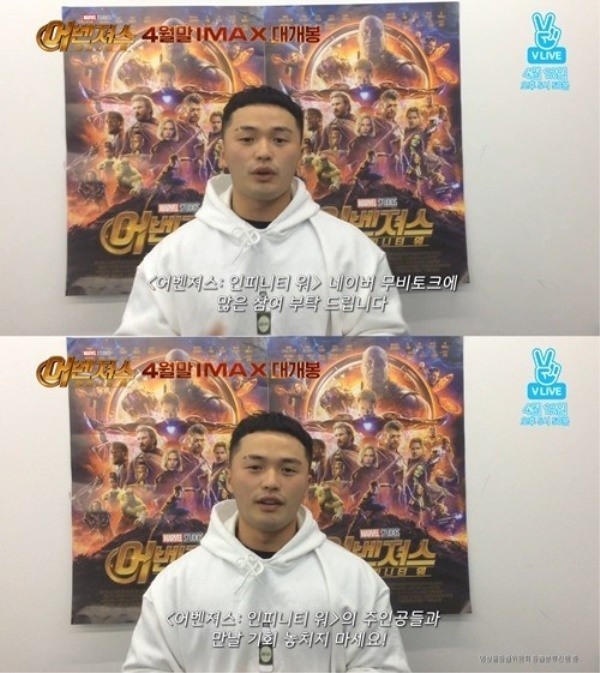 In the live interview, to be hosted by rapper Microdot who is known as a longtime fan of the series, the four will share their thoughts on their visit to Korea and their characters in the film. “Avengers: Infinity War” is part of the Marvel Cinematic Universe, based on the comic book heroes of Marvel. Such movies have proven wildly popular in Korea, with “Avengers: Age of Ultron” becoming one of 20 movies to surpass 10 million tickets sold at the Korean box office. The new marvel film is set to hit cinemas here on April 25.